IF WE CAN NOT GET YOUR BROKEN BLINDS & window shades FIXED, NO ONE WILL GUARANTEED. Call us today to find out more. We Repair Most Broken Window Shades! If we can NOT repair your window shades… NO ONE will either! We are window shades repair experts & have repaired over 50,000 blinds & window shades over the last 12 years in business… so we know how to repair window blinds AND window shades! We don’t mess around… we will fully take apart your blinds or window shades & we will find ALL of the issues. When the cord breaks on your blinds or window shades, MOST of the time, there are hidden problems that caused the cords to break, to begin with. We will repair & replace ALL of the problems with your window shades! Window Shade Repairs that we offer…. If we can not get your broken shades fixed, no one will. guaranteed. When you have our experienced and professional team at Lovitt Blinds & Drapery on your side, broken window shades are not a problem! We can fix both minor and major issues, and restore your window shades to their original, functioning condition. In fact, we repair more than 5,000 blinds and window shades every year. Simply put, we are the experts that you can count on! We can repair 95% of ALL Hunter Douglas Products, blinds, window shades, shutters & more! We provide a wide range of window shade repair services for your broken shades. Whether you need to restring a broken cord, or fix the entire window shade, we can get the job done quickly, professionally, and affordably. We are professionals at repairing blinds & window shades…so we’ve seen it all, from small issues to major window shade repair problems. Time – Don’t bother shopping for new window shades or repairing them yourself. Get the experts at Lovitt Blinds & Drapery to do the work for you. Money – Installations can be expensive. 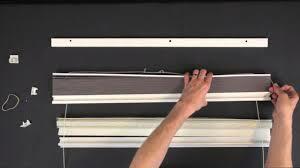 Repairing your existing window shades is more cost-effective than purchasing and installing new ones. Quality – Get the job done right the first time around. The blind & window shade repair specialists at Lovitt Blinds & Drapery are skilled professionals with years of experience. Whether you purchased your window shades from us or another dealer, we can help. Our employees can come and pick-up from your location or you can drop the window shades off at our stores. Learn more by calling us to speak with one of our friendly representatives! Why Choose Lovitt Blinds & Drapery? Expertise – No matter what the brand, we’ll repair it. If we can NOT repair your window shades, no one will either. Affordability – We provide professional window shade repairs at great prices. Service – Get the type of personal service that only a family-run business can provide. Call now to find out why Lovitt Blinds & Drapery is the go-to-people for window shade repairs, in the Chicago & Chicagoland areas! We can repair OVER 95% of the blinds & window shades on the market! Even if they are 20 years old! ONLY about 5% of window shades CANNOT be repaired. *Please read our "Blind Repairs FAQ's" page to find out more info on which window shades cannot be repaired. Need Help Getting Your Window Shades Repaired? OR Have Questions?